Baltimore Streetcar Campaign - 2012 - The campaign for great transit. 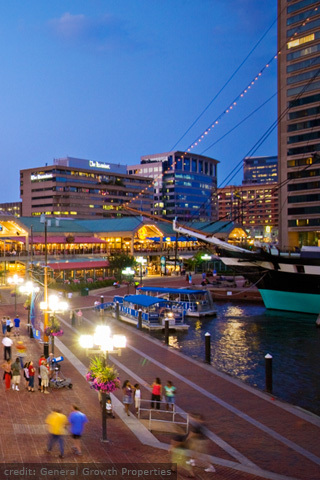 Expand the range of tourism, allowing more businesses to benefit from the 11 million visitors to the Inner Harbor annually. 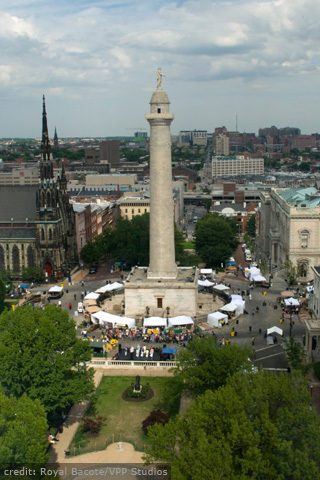 Enhance the visibility of Baltimore's educational, arts, and cultural institutions. Join the grassroots Baltimore Streetcar Campaign. Make a donation to sustain our efforts. Sign a petition to bring the streetcar back to Baltimore. The Route to a Livable, Walkable Baltimore. Charles Street will become the spine of a new streetcar network. It’s unique combination of universities, cultural institutions, retail & tourist destinations, architecturally & historically-rich neighborhoods, plus 40+ acres of underdeveloped land make it stand out among the 60+ streetcar routes being proposed in cities across America. Great Cities have Great Transportation: San Francisco, Chicago, Boston, Washington D.C. and New York. Why not Baltimore? We are collecting names of people to communicate important information on the progress of our campaign. If you are interested in hearing from us, please complete the form below. The national streetcar movement has shown that streetcars are a key link in any dynamic and effective urban transit system. Light rail and rapid transit, focusing on moving people long distances at high speeds, are the "freeways" of transit. Streetcars are like local streets — operating at a pace that is friendly and welcoming, encouraging residents to leave their cars at home, and extending visitors' "walking range," inviting them to explore the city beyond the Inner Harbor. More important, streetcars contribute to “quality of place” — a key competitive factor for cities in the new economy. Streetcars have been shown to encourage higher-density, high-value development along their routes. 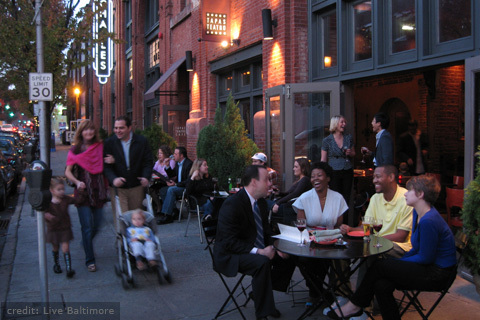 They will make Baltimore a more livable, walkable city. Will this project conflict with the red line? The capital cost estimate for a seven mile loop (such as Charles Street) is only $195 million (in 2010 dollars) compared to $1.8 billion for the Red Line. There are federal grant programs and bond funding sources specifically available for projects of this type and scale. The streetcar project would not compete with the Red Line for funding. Doesn’t the Charm City Circulator fill this niche? Fixed-rail streetcars offer economic benefits and development incentives that bus-based circulators don't provide. Because streetcar projects signal a city's long-term commitment to innovative transit solutions, they’ve been dubbed "economic development projects with transportation benefits." Economic impact studies of streetcar projects in cities like Portland, Oregon, Dallas, Texas, and Tampa, Florida show that developers and businesses invest an average of $70 million per year per mile of streetcar lines — compared to zero investment per mile for routes served by buses. Bus and streetcar services co-exist happily in streetcar cities — and bus lines replaced by streetcars can be reallocated to provide new and expanded services elsewhere in the city. How will this project impact the streetscape? Construction of the streetcars takes approximately two blocks every eight weeks. Only one traffic lane is affected by the construction. The electric-powered streetcars will not require overhead wires, so there will be minimal visual impact on sightlines along the route. The links in this section will provide the latest and greatest newsworthy material on our campaign and updates on other streetcar projects in development today. The Baltimore Streetcar Campaign is a grass roots organization that needs your support! Please click the donate button below to make a contribution. Any denomination will help support our mission to bring world class transit to Baltimore. Contributions to the Baltimore Streetcar Campaign are tax deductible through our Fiscal Sponsorship from Greater Homewood Community Corporation. The links in this section will provide important information that support bringing world class transit to Baltimore and also showcases other streetcar projects across the country. A 3D animation showing a wireless battery-powered streetcar on historic Charles Street in Baltimore, MD. We are committed to using new technology that will not require overhead wires for the streetcar. Charles Street will become the spine of a future transit network that will serve other neighborhoods and communities throughout the city. Streetcars evoke the romance of cities. Today, across the United States and Canada, new streetcar projects are driving a resurgence in green urban development and livable communities. Baltimore is poised to join the national streetcar movement—the Charles St. Streetcar offers a convenient, comfortable, and efficient transit alternative that connects residents, students, and visitors to all that the Charles Street Corridor has to offer.